The Latornell Conservation Symposium is one of Ontario’s premier annual environmental events. It will again be held at the Nottawasaga Inn Resort & Convention Centre in Alliston, Ontario. The 24th edition of the Symposium will be held from Tuesday to Thursday, November 21st to 23rd, 2017. 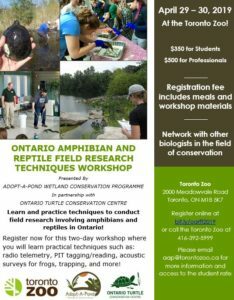 The Symposium provides a forum for practitioners, policy makers, nongovernment organizations, academics and businesses to network and discuss the challenges and opportunities in Ontario’s conservation field. In this Canada’s 150th, we explore the succession of science, knowledge, policy and organizations and the nature of this change on the environment. Many of us identify with natural or ecological succession – the process by which a plant or animal community successively gives way to another, leading to a new state. But the same is true of our organizations, as we have matured in our purpose and knowledge, and have seen leadership transfer to successive generations. The ongoing growth of knowledge through research, monitoring, observation, analyses and education have informed our actions on the ground, the policies we have developed and our legislative responses to emerging challenges.